Today is the beginning of a new column on thisisstar.com. It’s about t-shirt designers that I like alot, who you should like too! OR if you’re a t-shirt designer who’d like to be included, please email me! It had a rack of awesome shirts outside and I couldn’t resist going in. 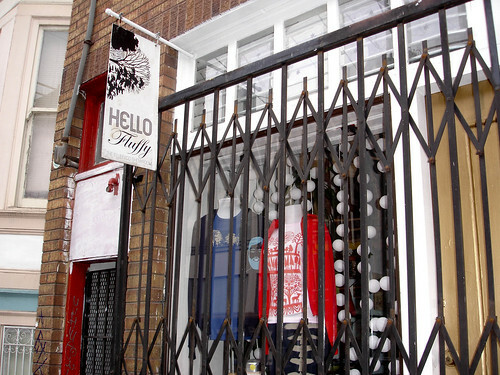 It turned out to be the showroom for the awesome SF based Apparel company, FluffyCo!! FluffyCo makes rad t-shirts, wallets, and even some awesome homegoods like pillows and wall mounted bottle openers.